There’s no way of knowing your tires have enough air with a quick glance. Uneven wear or a bald spot stands out with a quick once-over, but even the experts rely on tools to determine air pressure. Properly inflated tires have a longer lifespan and improve fuel economy. Modern vehicles offer tire pressure monitor systems (TPMS), but they are far from a catch-all. Tires packing too much air are equally detrimental to vehicle reliability and performance. Every manufacturer recommends a specific air pressure for individual models. The figure is found in the owner’s manual and the inside panel of the driver’s side door. Jamieson suggests getting the air pressure in your tires checked monthly and before long drives. Jamieson shares the following insight about the importance of tire pressure and how to get it right. Inspect tires frequently. 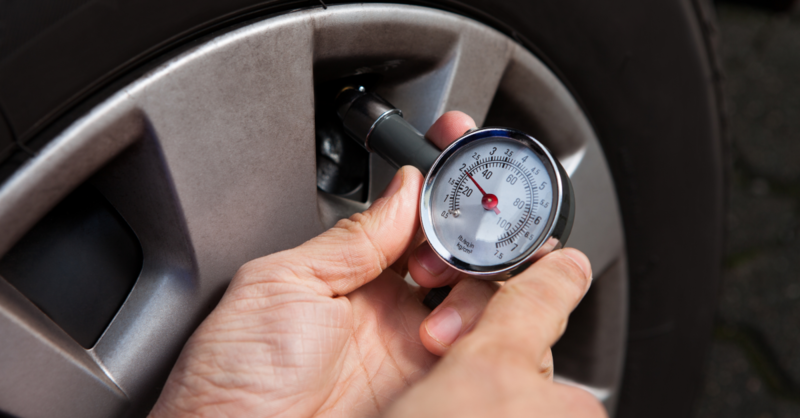 Air pressure should be tested monthly and before long trips. Also check your spare at this time. Get good readings. Check the air pressure when the tires are cold/haven’t been driven on. Air expands as it heats, and checking a hot tire gives an inaccurate reading. For the same reason, don’t add or reduce the amount of air in a tire when it’s hot. Don't wait for warning lights. Modern cars often come with tire pressure monitoring systems. While reliable, the systems aren’t a catch-all. For example, some systems don’t set out a notification until the air pressure has dipped to more than 25 percent below the manufacturer’s recommendation.